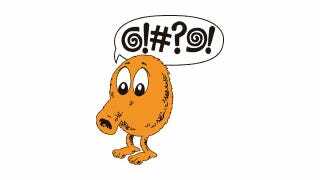 The last two guys to try and beat the Q*Bert world record had to pull out due to fatigue, because they'd need to have played the game for over 70 hours to beat it. Well, consider that record broken. Last week, two men—George Leutz (one of the failed iron men from 2011) and Ed Heemskerk—set out to break a single-quarter record that has stood for almost thirty years. At time of posting, both men are still playing. Heemskerk has toiled for over 60 hours, while Leutz has gone for over 80 hours, which has given him not only the record for time spent on a single quarter, but also the highest number of points. Impressive, sure, but at the same time, dangerous. Depending on when Leutz finishes up/is hospitalised, it'll be interesting to see if Heemskerk can "overtake" him. Because both players are still going, you can follow along at game historian Scott Patterson's site, where he's got both livestreams lined up side-by-side. UPDATE - And we're done! Heemskerk finished with a score of 28,870,165 after playing for 63 hours and 4 minutes. Leutz, however, amassed 37,163,080 having played a single quarter for 84 hours and 50 minutes. To put that in perspective, he started playing on February 14, and finished at 12:38 am on February 18. Madness.